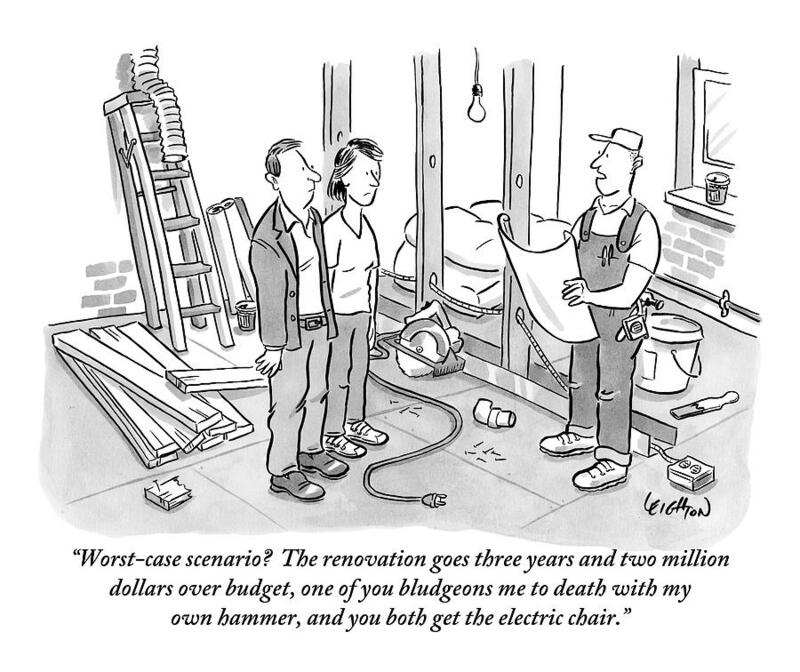 Caption: "Worst-case scenario? 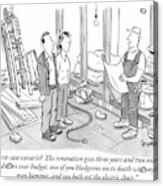 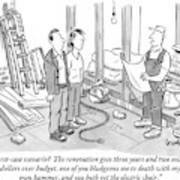 The renovation goes three years and two million dollars over budget, one of you bludgeons me to death with my own hammer, and you both get the electric chair." Description: Contractor examining a blueprint and speaking with a couple in the middle of their partly-constructed home.